While Denver plays home to some of the best craft beer establishments in the industry like Breck Brew, Odell's, Great Divide and many others, brewers in Colorado Springs have been amping up, consequently putting this thirsty city on the map. On a more local scale, brewers have branched out to find new ways to not only make beers, but to also build up a loyal brand. The passion these local brewers have for the product they are producing, they time and materials that go into each batch, says a lot about a brewery. In today's world, the same can be said for grassroots and social media marketing in Denver. The great part about the new generation of beer drinkers is they've grown up using Twitter and Facebook, and will do pretty much anything for a free pint of beer. Breweries have noticed this trend and are using it to their full advantage. A number of these organizations utilize inbound marketing tactics to grow their online community and create true brand advocacy. Settled in Northwest Colorado Springs, looking right at the Garden of the Gods, TRiNiTY Brewing is a vegan and vegeterian brewign company with a facility built using almost 100% recycled materials. TRiNiTY's increased efforts towards eco-sensitivity can be seen through the recycled wooden barrels used to produce "Artisinal Beers", the green appliances in the restrooms, and the local and organic materials they use. TRiNiTY Brewing has inadvertanly created their own unique brand that everyone seems like love here in Colorado Springs. 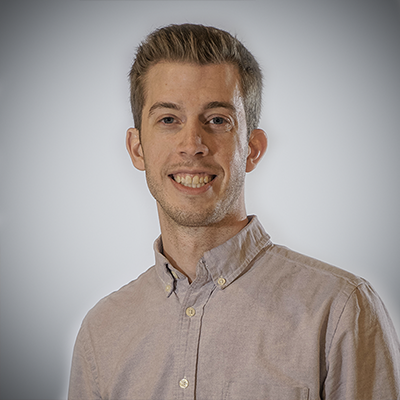 Some areas TRiNiTY has really developed components of their inbound marketing message and are utilizing tools available to promote events and beer tapings, connect and promote other breweries, and to educate beer drinkers on all things craft beer. Specifically, here are some things I found interesting that TRiNiTY is doing across primarily social media. Facebook- A favorite platform used as part of a social media marketing campaign. TRiNiTY does a lot of sharing on Facebook. With their "Artisian Beer" style, TRiNiTY gets attention from foodie sites like Bon Appetit and the Denver Westword, and they are really good about sharing these posts with their community. Like most breweries these days, food pairings and parties that allow guests to taste their food and enjoy all that the TRiNiTY Brewing facility has to offer. Events like the 2013 Sasion Fest held earlier this month, is still a main topic of discussion on their page. JustinTV- With video platforms like Vine, all types of marketing campaigns are now using quick little videos to show rather than tell. TRiNiTY uses JustinTV to stream live video for all those interested in seeing more behind the scenes. The use of short video clips is not only a great resoruce for search engines but it adds a little more personality to your brand. Through these videos, people get to see what TRiNiTY and the brewers are really like. It's breweries like TRiNiTY that are putting places like Colorado Springs on the map for thinking outside the box when it comes to drinking and enjoy the craft beer industry. A number of inbound marketing tactics are pretty apparent withtin the craft beer industry. Breweries will continue to utilize grassroots efforts to grow their online community. 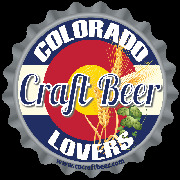 As a Denver marketing agency who loves a good, local beer, you can bet we'll be reviewing your favorite brewery soon.